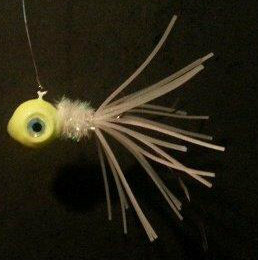 The Brush Bug is a hand-tied, custom-machined, one-of-a-kind jig which should help you just catch the tar out of whatever you’re fishing for. Great for catching crappie, walleye, large & small mouth bass. 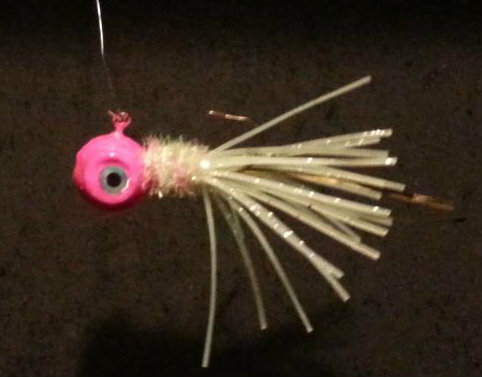 1 jig with #4 hook per package. SPECIAL ORDERS: Our mold does make other hook sizes. These special requests require you to CALL to place your order! Call 217-840-1221. Do NOT order online!